Rahm Emanuel: In close runoff race for mayor, Howard Dean endorses opponent Garcia. Rahm gave up everything for you, Chicago. Won’t you give him another chance? 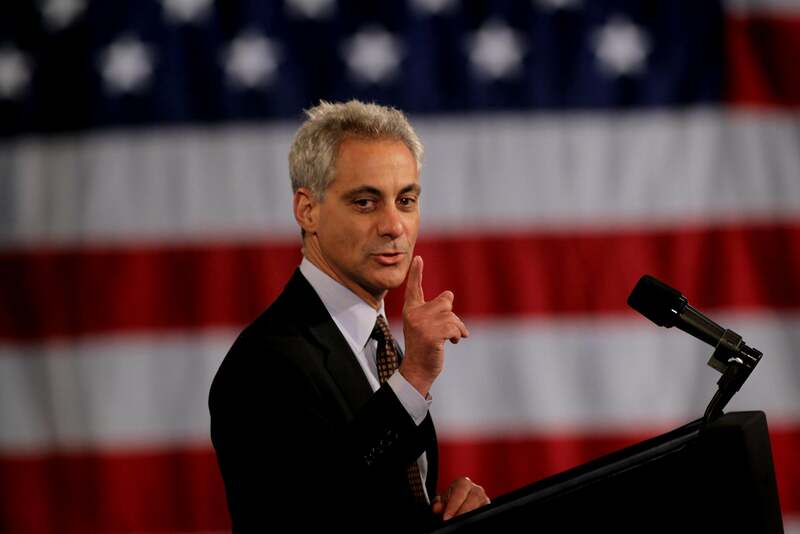 Is Rahm Emanuel about to be dumped coldly by the Windy City? Emanuel’s unexpectedly difficult campaign to hold onto the Chicago mayor’s office took another bad turn on Thursday when former Vermont governor and DNC chair Howard Dean endorsed Emanuel’s opponent, Jesús “Chuy” Garcia, in the April 7 runoff election. Dean’s announcement doesn’t come as a surprise. The organization Dean founded, Democracy for America, has spent this election season sending out email blasts denouncing Emanuel as a “corporate Democrat” and the bad blood between Emanuel and Dean goes back at least a decade. Still, with the final showdown only a few weeks away, Dean’s public push for Garcia can’t be a welcome development for Team Rahm. Dean throwing himself in the mix adds a high profile progressive voice to Garcia’s team and hits at Emanuel’s vulnerability that was so apparent in the February primary–Emanuel’s lack of a strong ground game to spur turnout in wards where he had supporters. Dean can help mobilize and energize grass-root Garcia backers. The latest polling shows Emanuel’s lead over Garcia at under 6 percent with 18 percent of voters undecided. That polling was conducted, however, before Wednesday’s announcement that the general election’s third-place finisher, Willie Wilson, had endorsed Garcia. Wilson’s share in the first round of voting was more than 10 percent, so his support has the potential to upend the race. Add to that Howard Dean and his rolled-up shirtsleeves, and you have one very long week for Rahm Emanuel.